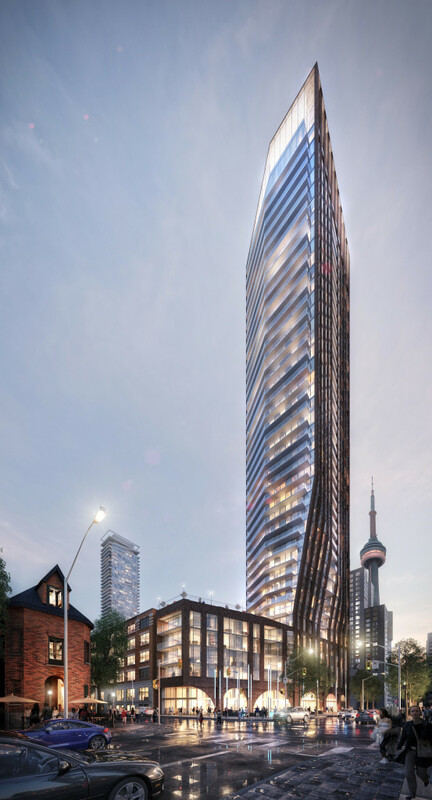 Pinnacle International is developing the PJ Condos, which is going to be a 48 storey tower in the heart of Entertainment District, resting on a 6 storey podium at the corner of Pearl and John Street. Building amenities include an outdoor swimming pool, hot tub and sun decks, outdoor terrace with BBQ areas, private dining room, designer decorated party room, fitness centre, Yoga room, business centre and 24 hr concierge. VIP Broker sales are currently underway, and available units are starting at $292,900.